After graduation, Flanigan pursued a writing career. He worked on Capitol Hill and then briefly for several New York City publications, including Town and Country and Interview magazine. On the advice of some of his friends, he studied at the Neighborhood Playhouse, was coached by Gerald Gordon, and then moved back to Los Angeles in 1994 to pursue an acting career. 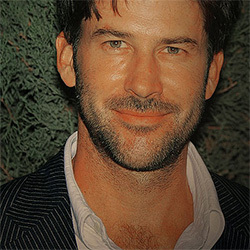 Flanigan had guest roles in numerous television series including Profiler, First Monday, and Sisters, until he got his breakthrough with his role on Stargate Atlantis as Lt. Colonel John Sheppard, the military leader of the Atlantis Expedition. He lives in Vancouver, Canada, where the series is filmed during the week, and flies to Los Angeles, California during the weekends where his wife and children reside. He continues to write, and created the stories for the second season episode "Epiphany" and the fourth season's "Outcast." Joe appears in Brooks Institute photographer John Russo's book About Face. Part of the proceeds are to be donated to Smile Train.